It’s officially December so we’re allowed to start curating the best of the year, right?! 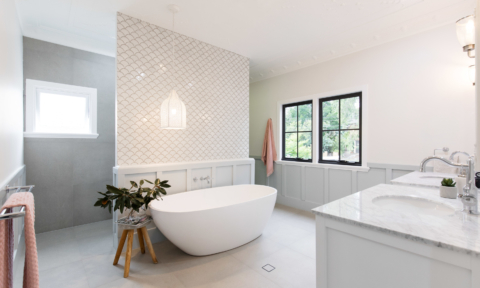 This year, we have been lucky enough to sticky beak inside some of the most gorgeous homes. 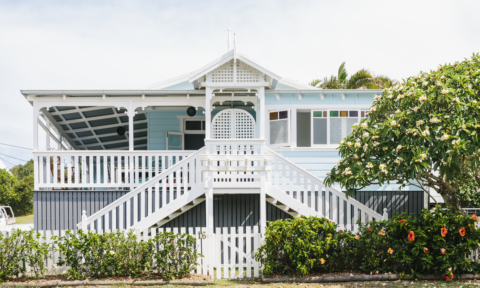 From a houseboat afloat Sydney Harbour to a US$16 million Hamptons home; we’ve certainly not been disappointed! 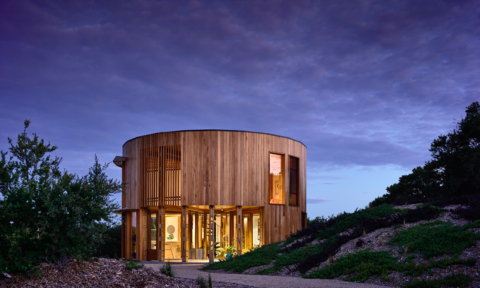 So I’ve undertaken the tricky task of putting together our top 10 favourite real homes of 2017. Enjoy! 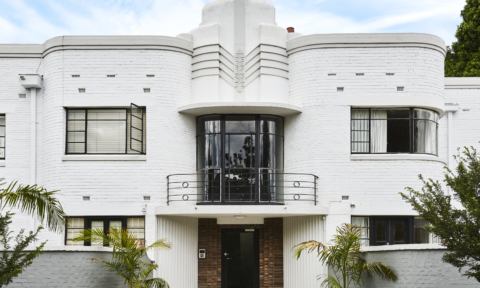 Elwood, Melbourne: It may be a rental, but that hasn’t stopped Lucy Glade-Wright (the co-founder of Hunting For George) from turning the apartment into a home. 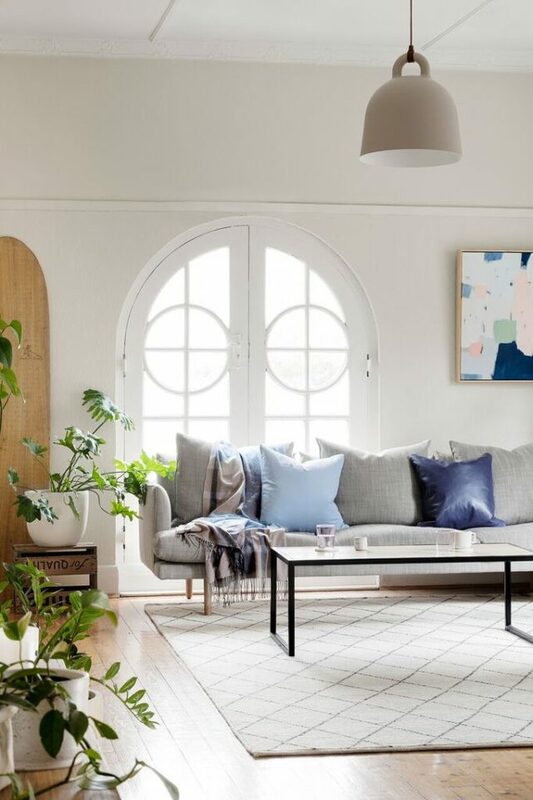 With Art Deco features and show-stopping arch windows, the palette is monochromatic with a touch of blue. 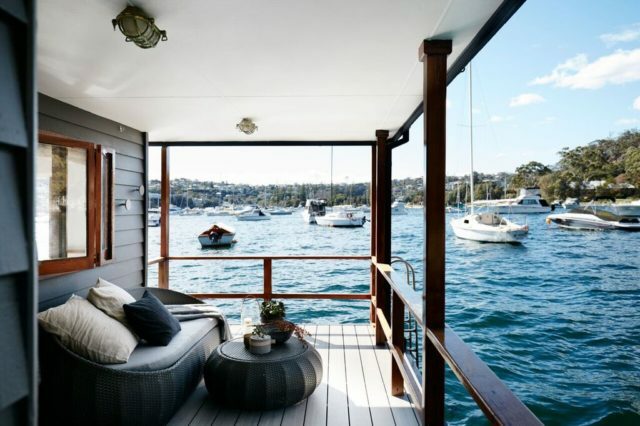 Mosman, Sydney: This two-storey houseboat, afloat on Sydney Harbour, has picture-perfect surrounds and a beautifully restored and redesigned interior. 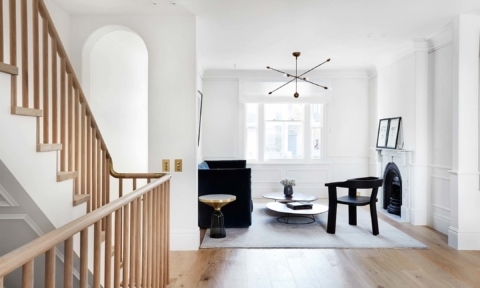 With clean lines and a soft, pared-back palette; it’s the holiday retreat we all want! 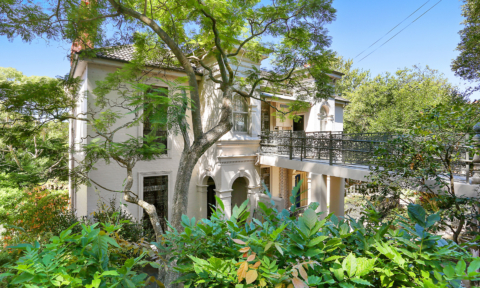 Bondi, Sydney: As one of the judges on The Block we had high hopes for Darren Palmer’s home. Stylish and smart, it’s full of technology and gadgets. 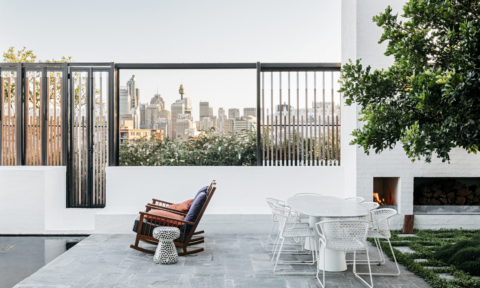 Northbridge, Sydney: This modern Mediterranean-style villa has been transformed by our favourite renovators, Three Birds Renovations. 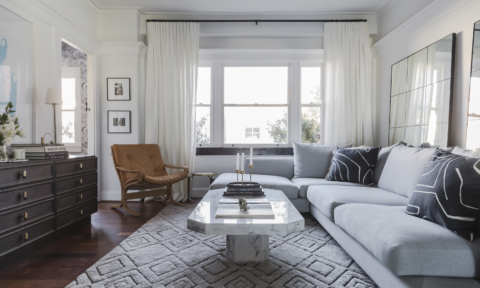 With large windows, glass doors, high ceilings and white walls, it’s a light, fresh and welcoming home. 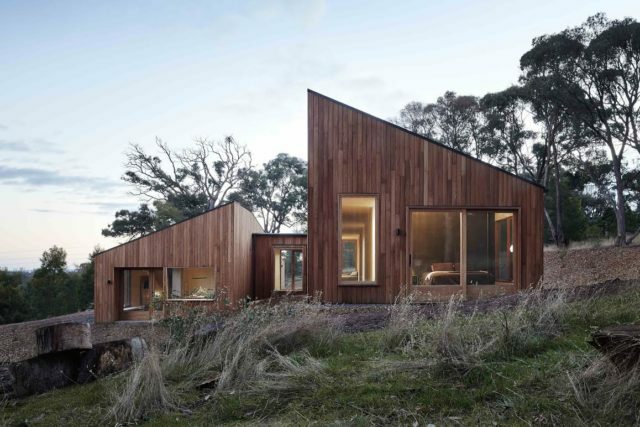 Ballarat, Victoria: This quirky design takes the ubiquitous pitched-roof country house form and splits it in half; with one pavilion housing an arrangement of bedrooms and bathrooms and the other a large, open living space. Raw and minimalist, it brings the beautiful bush setting indoors. 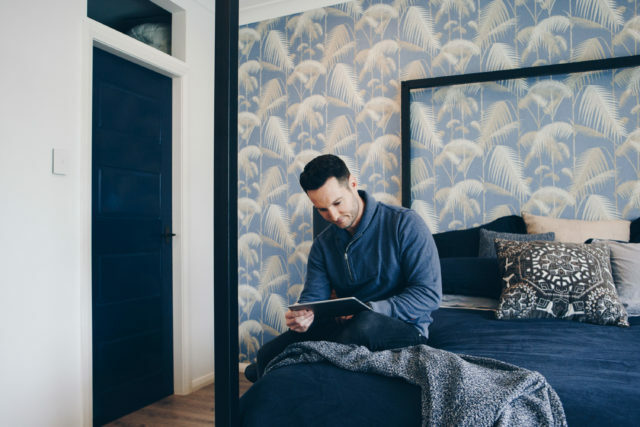 Darling Point, Sydney: An avid collector, the home of interior designer Alex Zabotto-Bentley is as much a gallery space as it is a private residence. 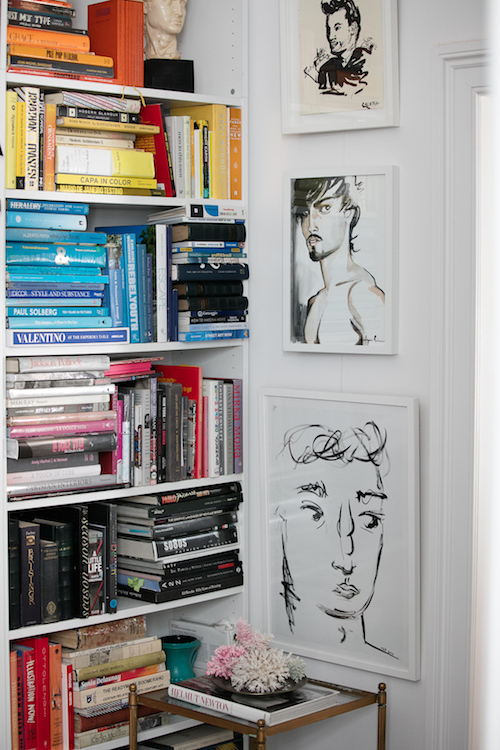 Filled with a vast collection of art and books, the home references classic French apartments and old Hollywood set design. Hamptons, USA: Yours for a little over US$16 million, this beautiful home is a great example of a modern Hamptons look, using a much more black and white palette instead of the traditional blue and white. Malvern, Melbourne: Combining Mediterranean influences with 1970s and mid-century design, this experimental home works so well. 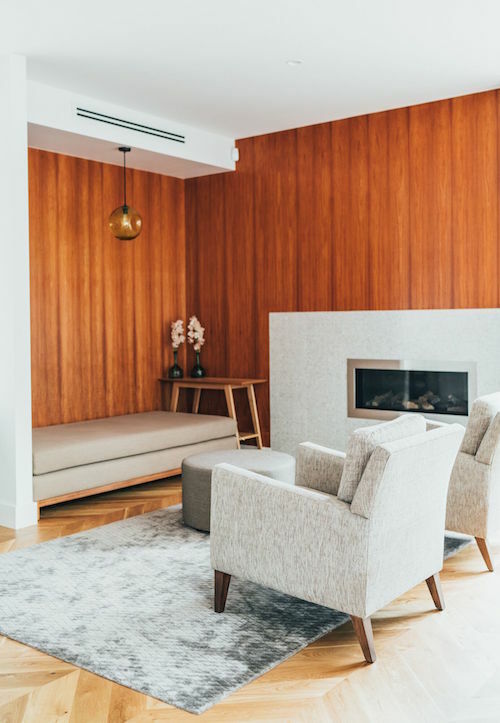 With Tasmanian oak veneer paneling, beautiful handmade clay tiles and bespoke rattan joinery, the interiors are rich in texture. 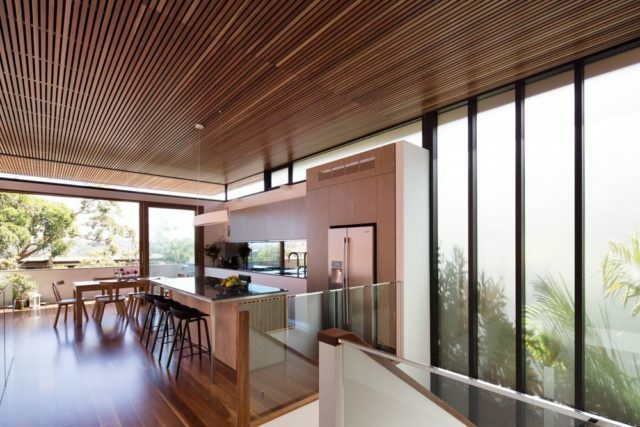 Manly, Sydney: Timber takes centre stage in this cleverly designed home. Sitting on a subdivided plot that’s just 7.2 metres wide, the home manages to fill light, airy and full of space. 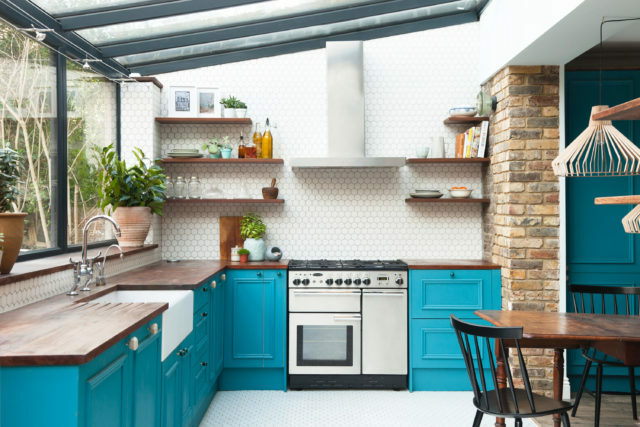 London, England: This renovated Victorian terrace is perfect for entertaining. Light-filled (a must with that dreary weather! ), the kitchen and living space beautifully flow into the garden. 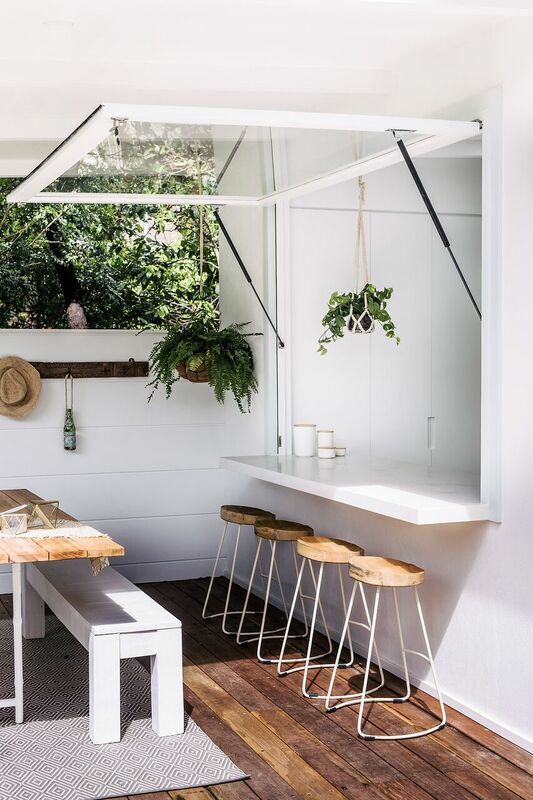 A perfect example of indoor/outdoor living. We hope you liked this list! For more house tours. В интеренете нашел полезный блог со статьями про http://www.progressive.com.kz/.